Balloon sculpture is a fun, easy and fascinating pastime. And best of all, it's easier than you ever could imagine. Balloon sculptures are wonderful adjuncts to the performances of magicians and clowns. Souvenirs made of bright, colorful balloons are popular with children of all ages, and adults, too. 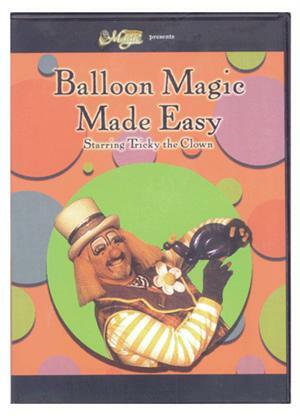 This broadcast quality DVD teaches you how to make incredible creations like a professional balloon artist in just minutes. With DVD technology, learning how to make balloon animals is simple. By freezing frames and jumping to specific explanations, mastering the fundamentals of these works of balloon art is easier than ever before. This DVD will teach you how to create over 30 sculptures, including: flowers, hats, a butterfly, a rocking horse, a parrot on a swing and a clown.